In a landmark decision Dec. 18 the National Labor Relations Board threw out a 50-year precedent and took away a powerful weapon employers have had to force unions to accept drastic cuts in wages and working conditions. That decision, the board stated, was a mistake and inconsistent with labor law. “Unlike a good wine, a mistake does not get better with age,” the new ruling states. While the ruling impacts all future contract negotiations, the NLRB dismissed the actual complaint brought by the National Association of Broadcast Employees and Technicians (NABET) Local 42, an affiliate of the Communications Workers of America. 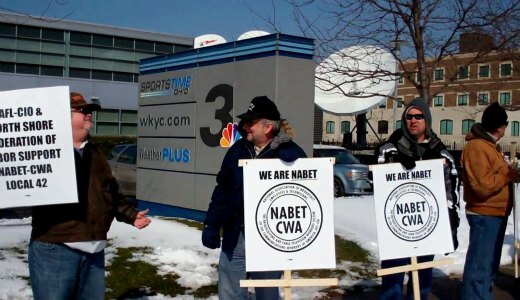 The union’s complaint was dismissed on the grounds that the employer, WKYC-TV, a Gannett subsidiary in Cleveland, had acted in accordance with the then prevailing NLRB policy when it stopped collecting union dues in October 2010. Because the NLRB dismissed the local’s complaint there are no grounds for the station to appeal the ruling. The case was basically the occasion for the board to issue a new interpretation of labor law, DeGross said. “It’s what’s called ‘judicial activism,'” he said wryly. The battle between the station and the union has been going on for over three years when WKYC used a wage reopener provision to terminate the existing contract in June 2009, and negotiations began over a new agreement. During this time dues check off continued, but in January 2010, the station unilaterally implemented terms of its final offer, including slashing wages as much as 18%, cutting vacations, sick days and work rules. While negotiations stalled, the station continued to check off dues until early October when, without notice, it stopped and the union was forced to collect dues from members one by one. Many of the 55 members of the unit continued to pay dues but some, feeling defeated, stopped or only paid a portion. Obama sharply criticized the recently successful effort by Michigan Republicans to impose a “right to work” law in that state and the NLRB ruling by his appointees is consistent with that view. 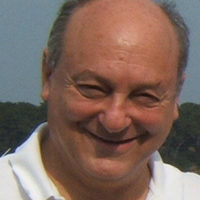 “At a time when states are trying to take away the unions’ rights to receive dues in return for services and representation, this decision by the federal government to prevent employers from ending dues check off at the end of contract expiration is timely and greatly welcome,” said Dan Kovalik, associate general counsel for the United Steelworkers.